Open Seasonally from May through October. For specific times and admission fees, please visit our website. Visitors to Assateague State Park have an opportunity to learn about colonial life along Maryland's coast when they visit historic Rackliffe House. Rackliffe, overlooking Sinepuxent Bay, is a beautifully restored 18th-century coastal plantation house located at the end of Tom Patton Lane, just a half-mile hike from the Assateague Island Visitor Center. The late Tom Patton, founding President of the Rackliffe House Trust, envisioned the House as a site for coastal heritage interpretation. 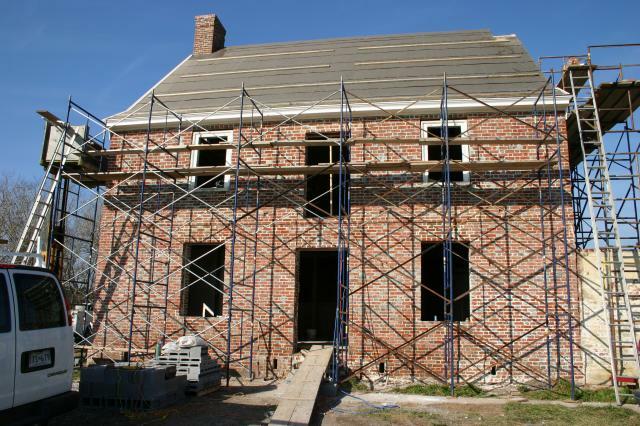 The Trust, in partnership with the Maryland Department of Natural Resources and Assateague State Park, has restored Rackliffe House and conducted preliminary archeological investigations of the surrounding property. The Trust is now operating the structure and surrounding three acres of property as a museum. The plantation house is reportedly the only one of its kind and vintage in the Mid-Atlantic region that is open to the public. Rackliffe House is open seasonally, from May through October. Visitors may hike to Rackliffe House any day between dawn and dusk to view the House exterior and explore the grounds. Visitors are asked to park in the lot for the Assateague Island Visitor Center and walk to the House along Tom Patton Lane, or hike along nature trails created by Assateague State Park that offer a more scenic path to Rackliffe House. For more information about Rackliffe House, please visit www.rackliffehouse.org. If you are interested in serving as a Docent at Rackliffe House, please contact Tina Busko at tbuskorht@gmail.com or 865-300-5609.